The house we started skirting before we got to work. Notice the front door is in the yard. If you look closely, you can see two mattresses stacked against the wall, where people sleep. 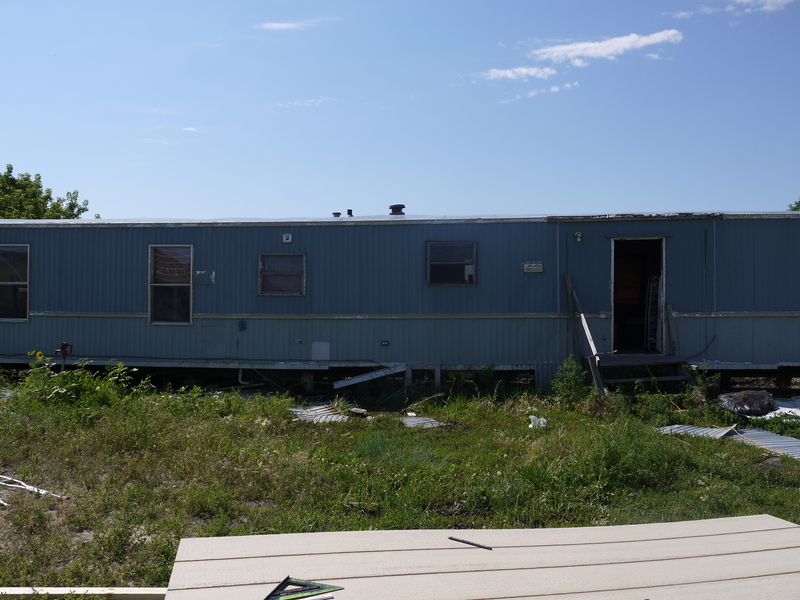 Often up to 15-20 people may live in a trailer such as this.